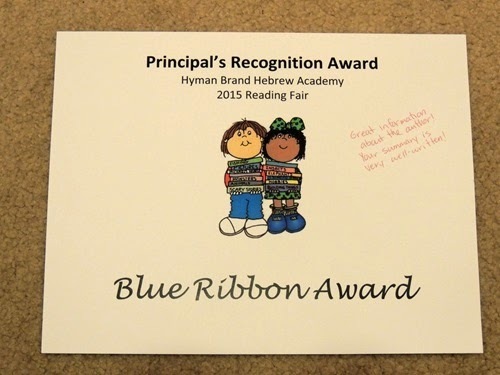 A few weeks ago, our school had its annual reading fair. Students below 4th grade have the option to create a board based on a book they have read, and those in 4th and 5th grade are required to make one. 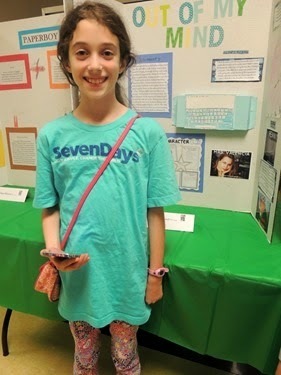 The students were then invited to wear their pajamas while showing off their boards to their families. Dave was out of town, so before we went into the fair, the kids were talking to him on FaceTime. 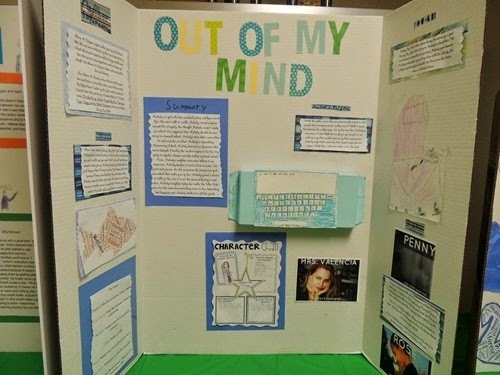 Gabbie’s board featured her current favorite book, Out Of My Mind, reviewed here. 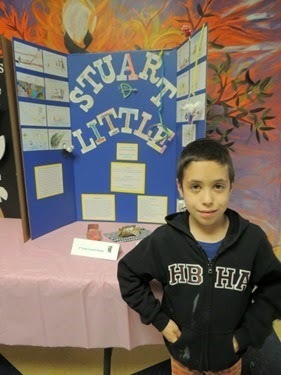 Zachary’s class worked together to complete a board about Stuart Little. I love that the Reading Fair gets the kids excited about books!